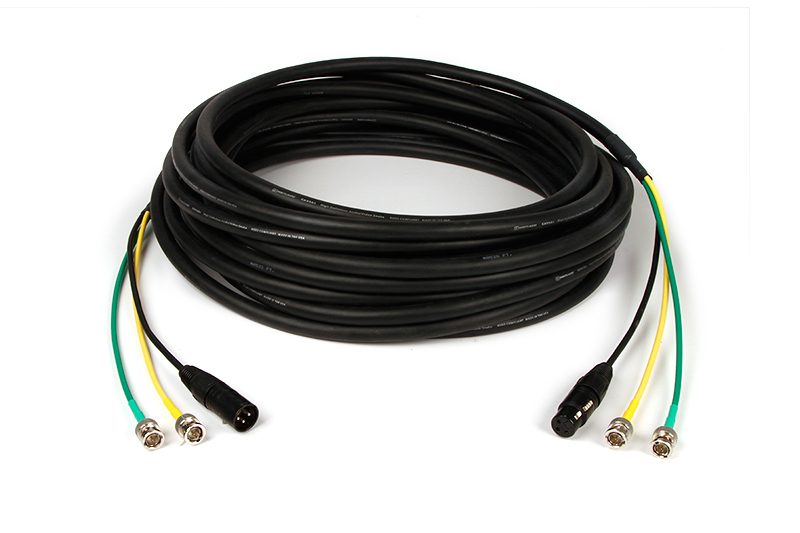 75 ohm BNC video cable. Canare LV-61S cable with RG59 connectors. Two pairs of HD-SDI mini coaxial (BNC) and one pair of AES/EBU audio(XLR). Includes (2) Muxlab audio-video balun boxes, (4) dual Phono (RCA) cables, (4) Phono to BNC adapters and 100 foot CAT5e cable. Remote Audio products are the result of years of experience in the trenches. For over two decades, we have developed and manufactured products tailored to location sound professionals. Each product is designed to meet a specific need in the field and built to withstand the rigors of location sound production, incorporating the highest quality materials. From power distribution systems to specialized interconnects and accessories, Remote Audio fully addresses the needs of the sound pro.